Over the weekend Disney confirmed a long running rumor that Marvel would finally have a presence in the domestic Disney theme parks. Marvel’s Guardians of the Galaxy will be coming to California Adventure in Summer of 2017. 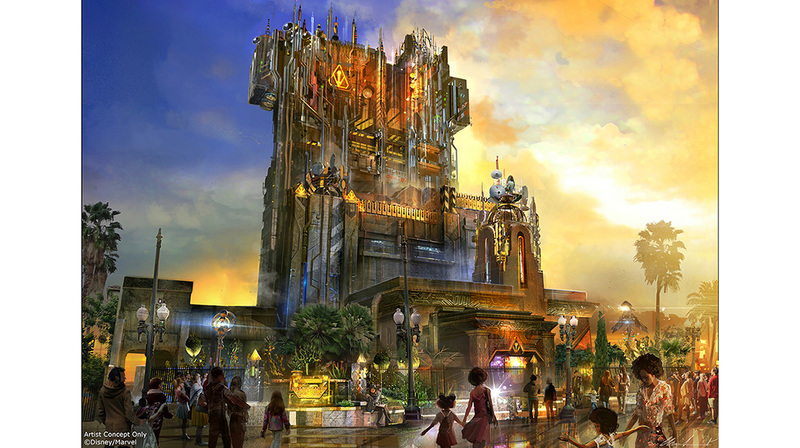 Disney will be revamping the Hollywood Tower of Terror ride currently based on the Twilight Zone to instead be Guardians of the Galaxy – Mission: BREAKOUT! Hit the jump for more details on the new attraction and what you can expect while in the ride queue. Let’s face it. Everyone has been lost at Walt Disney World or Disneyland Resort at least once. These are huge places and they can certainly be overwhelming for first time visitors. I’m the “tour guide” whenever I take my family to the parks. In fact I came to realize that they weren’t paying much attention of how to get everywhere and really relied on me for that! Well now Disney has made getting around the parks and Walt Disney World a little bit easier. An update is coming to the My Disney Experience app that will feature navigation. Hit the jump for more details on what’s to come.